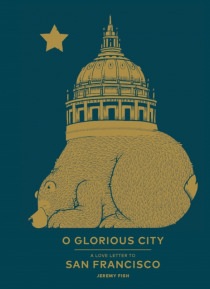 O Glorious City is an exuberant love letter to San Francisco from Jeremy Fish, a beloved artist who enjoys a massive fan base for his edgy artwork. When Fish was invited to create 100 new works of art in honor of City Hall's 100th birthday, he moved his studio into a City Hall office to become the city's first-ever artist in residence. This celebratory book gathers all 100 pieces of artworkeach re… ndered in his signature whimsical stylefeaturing everything from the city's famous architecture and treasured local landmarks to portraits of colorful local residents in a gallery of "e;unofficial mayors. "e; Together these images form an energetic, visual tour de force showcasing San Francisco's vivacious spirit and vibrant history.